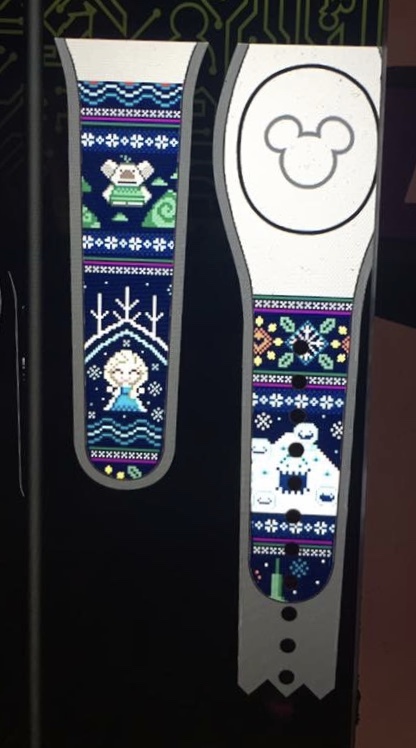 3 Responses to "Frozen Sweater design appears at MagicBand On Demand stations"
This design comes from “Olaf’s Frozen Adventure” – the Frozen short that plays before Coco. I think you are correct, but can you describe a bit more about the reference from the short for this? Are you sure this is specifically for the short? Elsa appears to be in her normal movie dress on the design. Sorry for the late reply – there is a scene during the short, I believe when Olaf is singing, in which the characters appear “pixelated” as though on a holiday sweater. The image on the MagicBand is taken from this scene.